The first-ever NBA 3-on-3 Philippines presented by Sprite will take place in SM Mall of Asia Music Hall in Pasay City, Metro Manila on July 1-3, 2011. 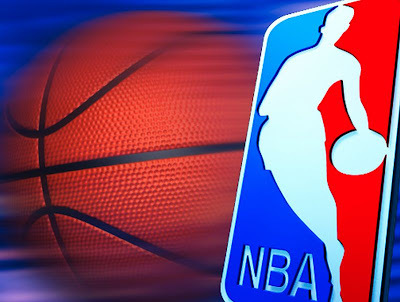 The event combines exciting on-court competition with authentic NBA entertainment and experiences for basketball fanatics. The NBA 3-on-3 Philippines 2011 presented by Sprite will provide youth with an opportunity to hone their skills and compete amongst their peers. The competition is open to boys and girls ages 11-19, with an open division for men. Registration began on June 3 on a first come first serve basis and runs till June 28, 2011. NBA Legend Horace Grant, a four-time NBA Champion (1990-91, 1991-92, 1992-93 with Chicago; 2000-01 with L.A. Lakers) and an NBA All-Star in 1994, will make appearances and interact with fans through clinics and community events. Current All-Stars and legends from the Philippine Basketball Association (PBA) will also be there. “We greatly appreciate the support of our long time partner Sprite and they are an ideal partner for our first ever NBA 3-on-3 tournament in the region. The Philippines is the perfect place to launch this event given the country’s rich culture and passion for basketball,” said Scott Levy, Senior Vice President and Managing Director, NBA Asia. Other NBA-style events over the three days include a Sprite Slam Dunk contest and Energen Skills Challenge where participants can compete and showcase their abilities in front of a home crowd. There will also be an authentic NBA half-time show featuring performances by the Knicks City Dancers. 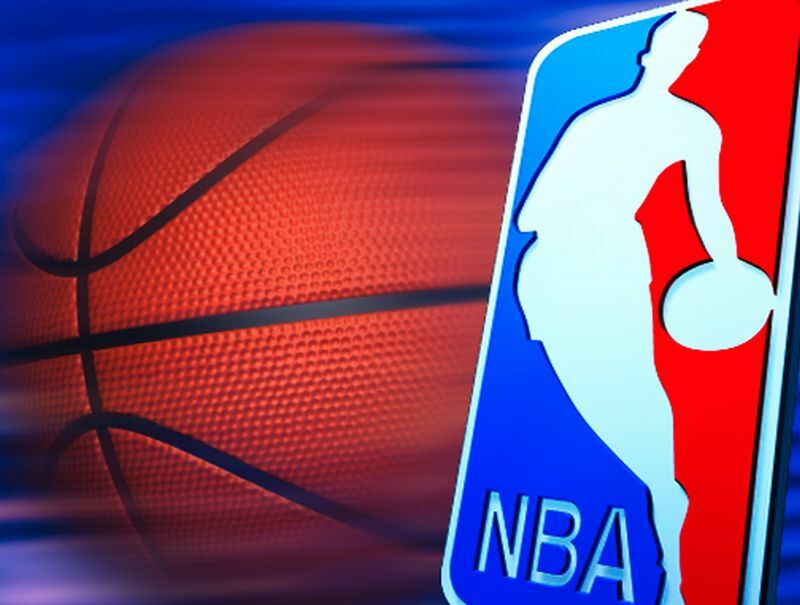 There will also be NBA merchandise giveaways and live music to keep fans entertained. The best part of this -- admission is FREE. [Left to right] (1) Carlo Singson - Senior Manager, Business Development and Marketing Partnerships, NBA Asia; (2) Erl Orenza - Asst. Vice President - Events, Mall of Asia ARENA; (3) Vincent Rodriguez - Head of Programming, Studio 23; (4) Riena Marie Tan - General Manager, Tridharma Mktg Corp, distributors of Energen; (5) JB Baylon - Public Affairs and Communications Director, Sprite; (6) Ed Winkle - Senior Director for Global Marketing Partnerships; (7) Peter Chanliong - CEO, SOLARtv Network; (8) Ronny Saputra - Marketing Manager, Energen; (9) Joven Babaan - Product Manager, Spalding. 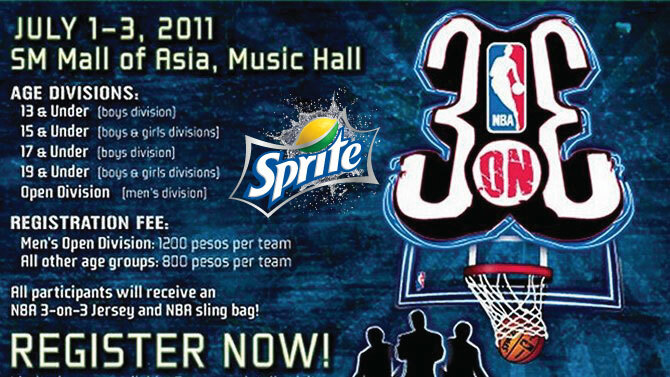 All participants of the NBA 3-on-3 Philippines 2011 presented by Sprite will receive a jersey and NBA sling bag, with early registrants (those who sign up before June 10) receiving a signed photograph of NBA legend Horace Grant. There will also be prizes for the winner of each division. 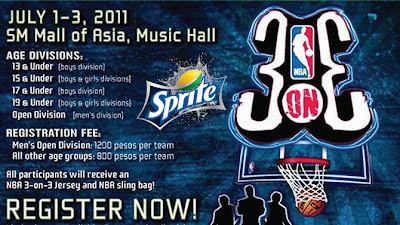 For more information about the NBA 3-on-3 Philippines 2011 presented by Sprite and chances to win daily quiz prizes, please log onto NBA 3-on-3 Philippines. Fans can also get updates on the event by following the NBA on twitter at and through NBA on Facebook.